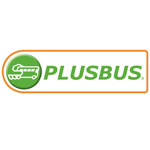 PLUSBUS is a bus ticket that you buy with your train ticket. PLUSBUS gives you unlimited bus travel around town, at the start, the finish, or both ends of your train journey. With PLUSBUS you can make as many journeys as you like on all participating bus operators services. PLUSBUS is now available to 227 towns and cities across Britain.